There are two empty spaces: one is reserved for an Eight-pointed Star block, the other for a Drunkard’s Path block. 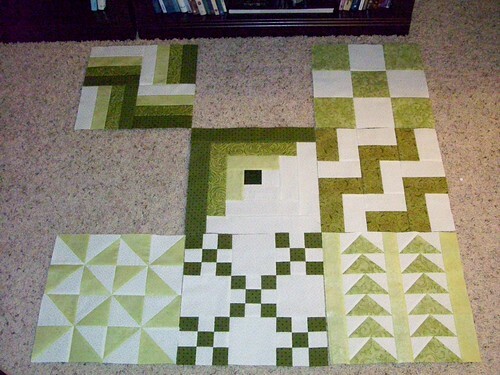 Then sashing and borders, and it will be ready for quilting. I want to do this on my machine – it should be fun.